This trade exhibition was the first such exhibition in Sohar for building material, transport, heavy equipment, loading & offloading, storage and logistic services. MAN participated in the exhibition with its distributor Arabian Engineering Services LLC which is part of the Saud Bahwan Group. At the exhibition, MAN showcased its MAN TGS 6x4 truck along with a range of genuine MAN spare parts such as batteries, air filters, oil filters, fuel filters etc. The robust TGS truck is able to carry very heavy loads and has been specially developed by MAN for use in regions like the Middle East. The truck copes safely and easily with even the most difficult road and extreme weather conditions such as sweltering heat. Whether as a semitrailer tractor, chassis or tipper, the truck is perfectly suited to use in the harshest conditions and in difficult long-haul transport projects. 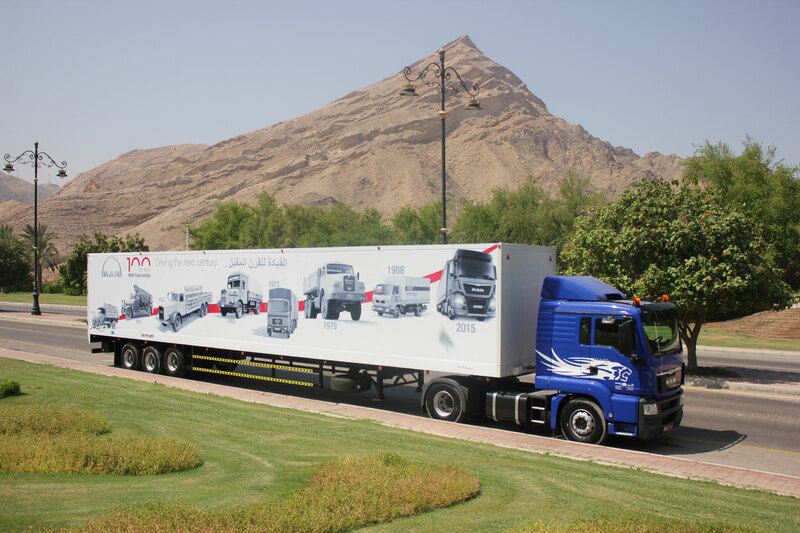 The vehicle configuration of the MAN TGS 6x4 can be optimally adapted to particular geographical requirements. As an efficient commercial vehicle for driving on the roads during short- and long-haul transport, MAN offers two-, three- and four-axle semitrailer tractors and chassis with permissible gross weights of up to 50 tonnes. Accommodating for the demanding operating conditions in the Middle East, MAN Truck & Bus Middle East provides full-fledged turn-key solutions for both goods and passenger transportation by road through its light (TGL) , medium (TGM) and heavy-duty (TGS WW) ranges of trucks, and MAN and NEOPLAN buses that provide basic to VIP luxury transport and travel requirements.